I walk to work every day from the train station to the office. I thought I’d share my journey, with the entire route which has been captured by point cloud and all the in ground services modelled. 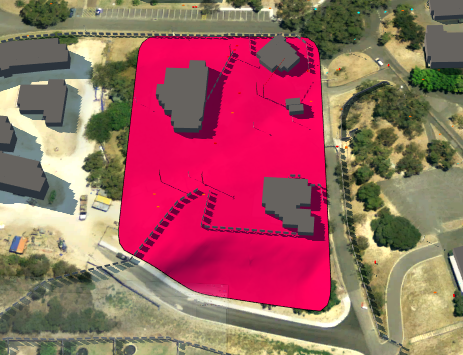 The point cloud data equated to 3 GB per 100 meters. 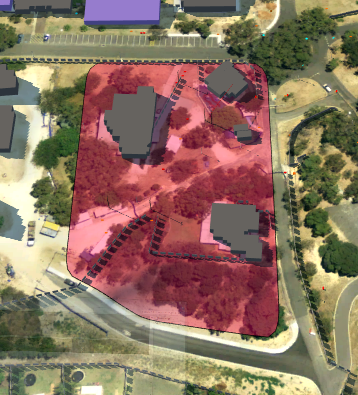 The point cloud data was processed with Recap Pro and service modelled in Autodesk Civil 3d. Both data sets were overlaid in Autodesk Navisworks and the viewport transition to create the animation. So how did I manage to Create a render animation with 3 GB x 15 = 45GB. The workflow to create an animation with s large point cloud data set. Create and save the first viewport. The viewport needs to have the correct target eye level. Apply a section box to the view, while keeping in mind the view depth to be limited. The intent of the section is to limit the amount of point per view when rendering the animation. Update the viewport. Edit the viewport setting. Pan forwards 100m or so to the desired location. Save the viewport and drag the section boxes. Keep creating and staging the viewports, until the final desired location. Now to sitch all the views together, create animation folder and drag in your views. Click play and watch your animation. 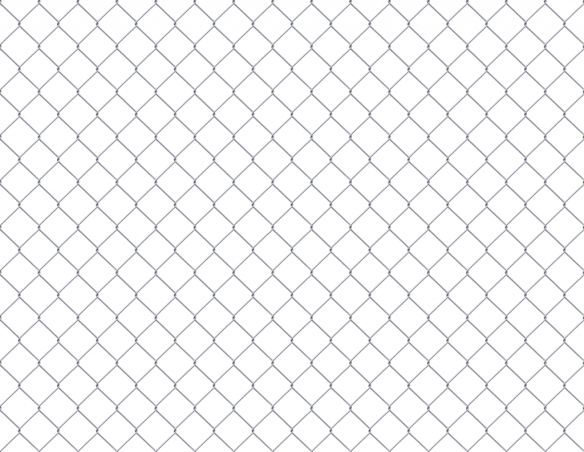 Great workflow for creating a chain link fences. 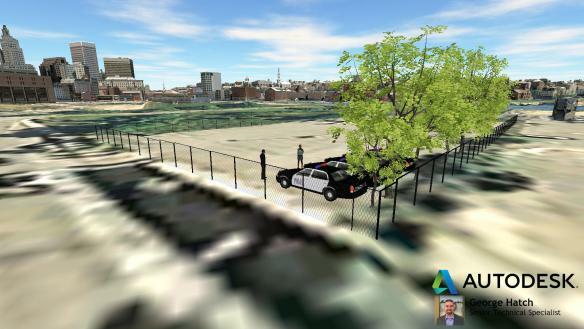 Have you ever had the need to use semitransparent style like a chain link fence in InfraWorks? Converting a typical barrier fence to a chain link fence is pretty easy to do, just follow these steps! 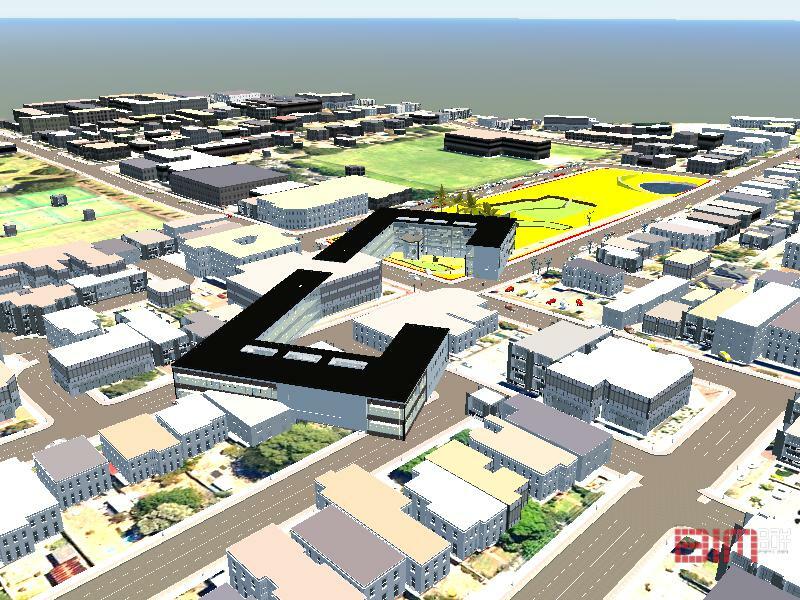 Importing your Revit model into Autodesk Infraworks is a simple workflow and can be done in 3 ways. Native Revit file imported via the cloud processing tool in Infraworks / or the local processing tool. Exporting Revit via FBX (Revit always exports FBX units as feet) and importing FBX into Infraworks. 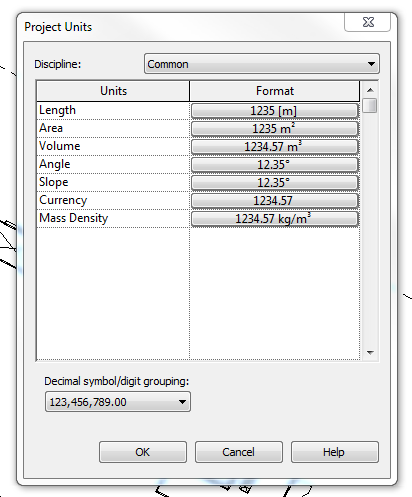 Export Revit via DWG (metric Revit files export as metric. Great for massing options) and importing into Infraworks. My preferred workflow is using FBX, why this method? The Basepoint in Revit is the model setout point of the exported FBX. You need to record the coordinates of the Basepoint as this will be used to position the FBX file in the correct location. This is based on the fact that you have set the model up with the correct coordinate which related to the site which is the known coordinate system. 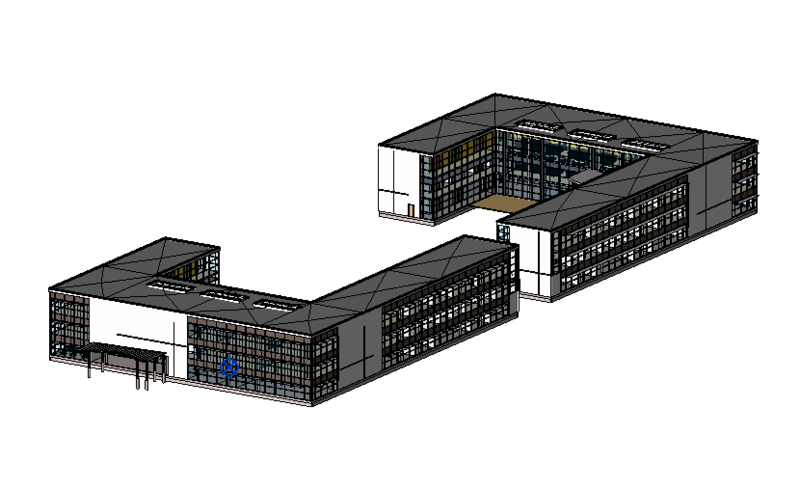 The above image of the Revit model showing that the model has to be rotated to a True north and that the basepoint is located in a PCG94 grid system. The known coordinates system is inputted. 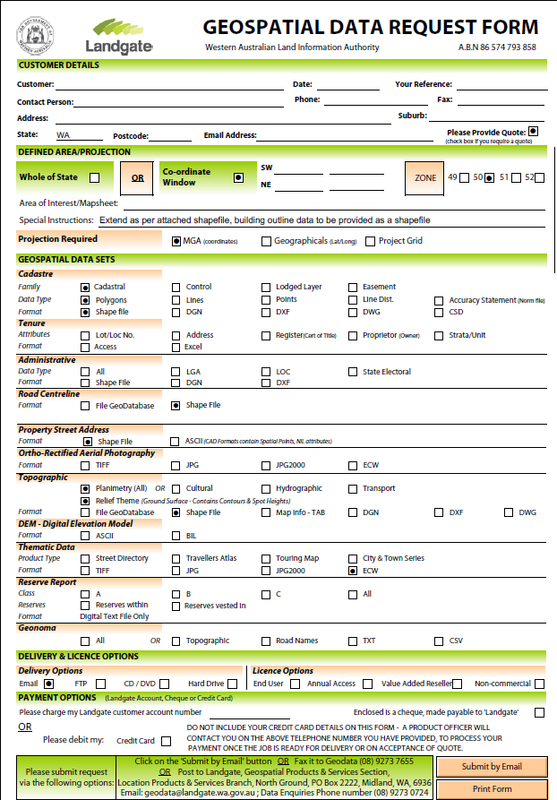 Ie PCG94 in this example. The x been the E/W from Revit 53800.6077, The Y been the N/S from Revit 264989.7382 and the Z been the Elev from Revit 17. 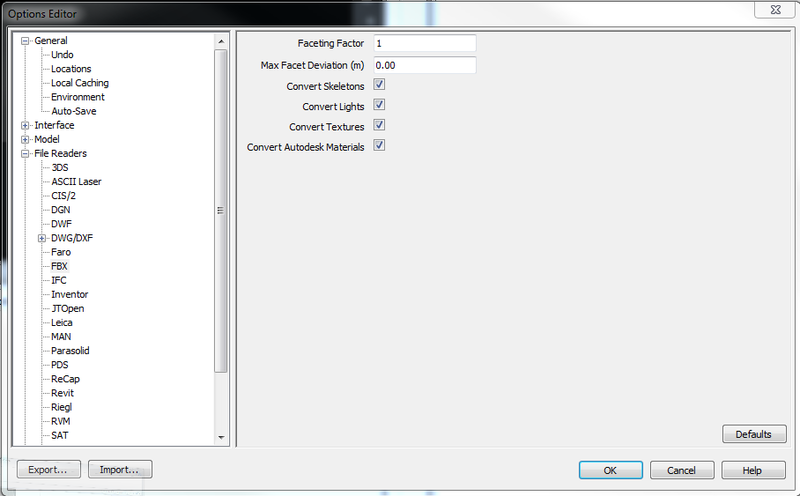 Prior to recording the values I change the Revit unit to Meter. Prior to recording the values I change the Revit unit to Meter. The strange part to get the model to be correctly rotated is to take the Revit rotation to true north and minus that from 360. Eg. 360°- 207.332° is = to 152.668. using the value you input that into the configuration of the rotation for the Z. 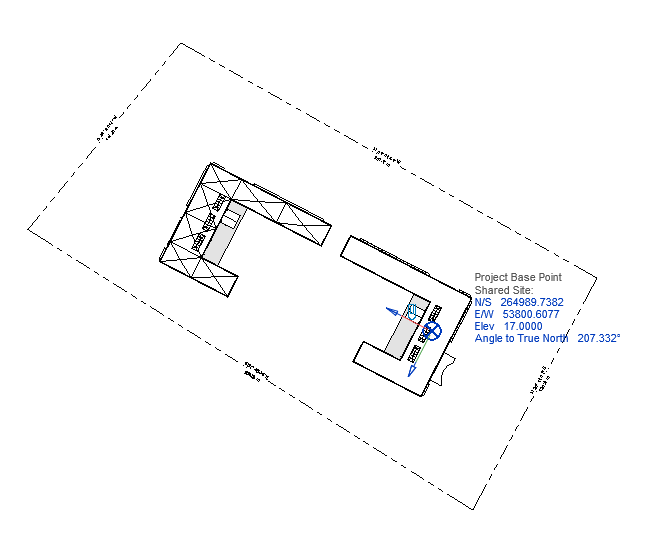 The Z value of the Revit rotation to the True north – 360. The short video below is a workflow that I’ve used to export Revit to FBX which then imported into Infraworks. 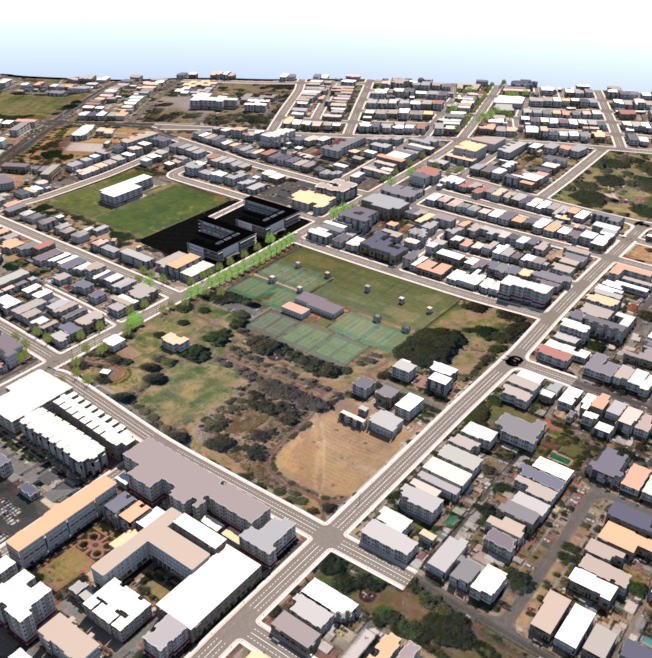 Creating an Infraworks model in Western Australia, data can be obtain from Landgate. Below is an example of data received from landgate after a request. 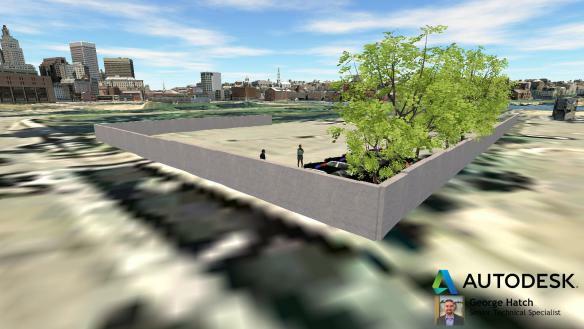 There is plenty of data available to create a Infraworks model. 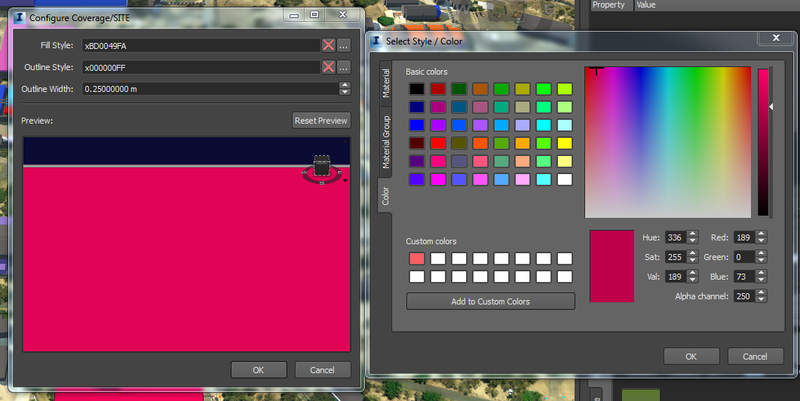 Infraworks does not have a simple export to DWF. I came across this workflow because at the last minute some needed a model in a file format that was small and simple to use. A presentation with a 3d model of the proposed building works vs 50 slides, I know which one I rather see. The short video below is a work flow that I’ve used to export Infraworks to DWF, with the help of 3ds MAX. 3ds MAX now has the selected region of the model and exporting dwf is as simple as export to dwf. Navisworks has never had a simple workflow of adding surface imagery without the use of 3ds Max. Infraworks add an easy. Exporting is done by FBX as there is no direct export from Infraworks to Navisworks. The associated images need to be converted from .DDS to .JPEG and remapped when appending the .nwc. Navisworks need to have the following setting set for the images to be processed. Ensure that the Convert Textures is checked. Another setting is to have the on which general Navisworks will prompt you to turn on. 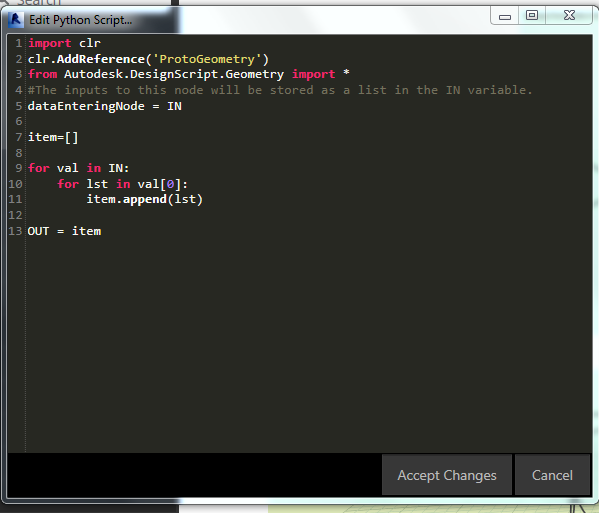 Is Presenter (OpenGL). Infraworks Coverage areas are great for defining work area / easement but sometimes you would like the area to be transparent. 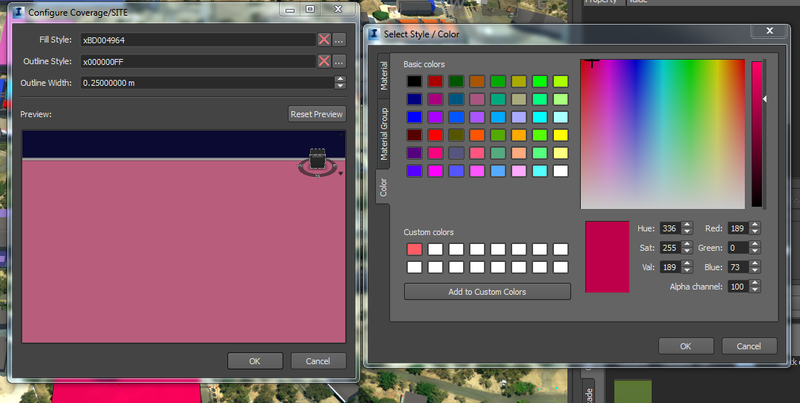 This is possible in Infraworks by changing the Alpha channel of the colour that defines your coverage area. The pink coverage area defines the area of work. The colour setting of the Coverage area is set with an Alpha channel of 250, by changing the alpha channel the transparency of the coverage area changes. The Alpha channel is set to 100 in the image above to give a result in the image below of a transparent appearing coverage area. 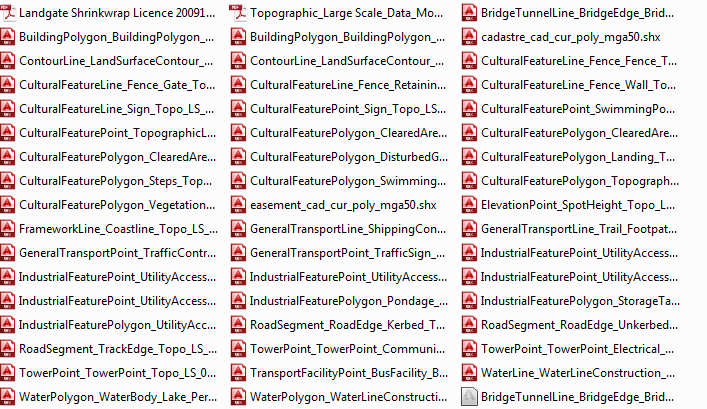 The Work flow for Creating a Project Grid system in Civil 3d 2014 that can then be used across other 2014 Autodesk platforms, example Autodesk Map 3d, Autodesk Recap Pro and Autodesk Infraworks. To create a Project grid you need to obtain the parameter that define that grid system. The example below is base on Perth Coast grid 94. Landgate and MRWA have the parameters to define local gird for area through out WA. Landgate have the details here for PCG94. Start with a coordinate system. The System is to be a Projected system. Name the Project Grid System. Base the System off GDA94. 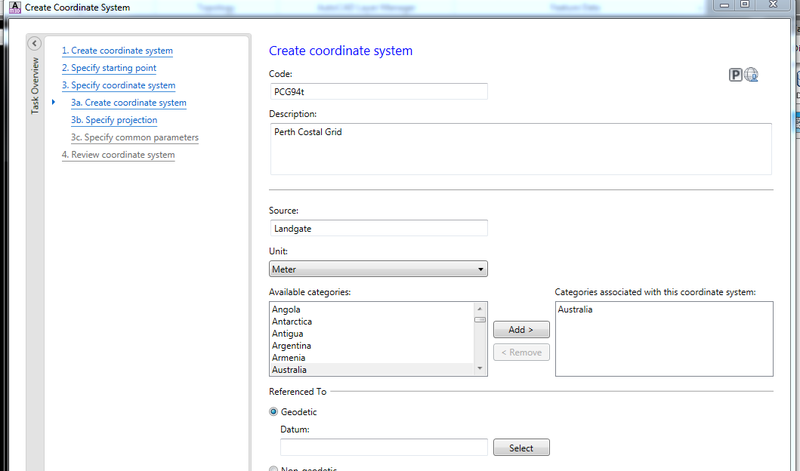 Enter the Parameter that are found on Landgate website. Review the Parameters and Click save. Use the exact numbers for the Parameter data. Do not round the data. Revit does not have a simple solution to calculate formwork Areas. The solution to schedule the formwork areas of each INSITU elements was to use Dynamo. The node does not take into account joint faces, only elements as a whole. The shared parameter for the top, bottom and side formwork area updated. Link to Download the above Graph. A custom node that split the surface based on the vector direction Z value relative to the surface. The result, the top, bottom and side area values are filtered to each. Brian Renehan has a blog , BIMFix has produced an excellent workflow for establishing shared coordinates in Revit and exchanging data between software platforms. 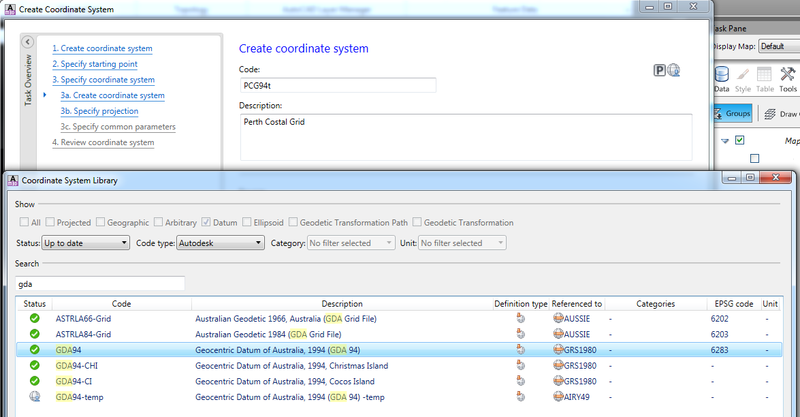 A couple of years ago I wrote about how to create a local grid system for Perth coast Grid PCG94. You can copy the user definition of grid system from PC to PC using the following workflow, which Civil 3d, Map 3d and Infraworks access to the copied grid system. The PC that does not have the defined Local grid system will need to configure Civil 3d or Map 3d to allows a definition of the grid system to be copied from PC to PC. The copied coordinates system will now be available in Infraworks. 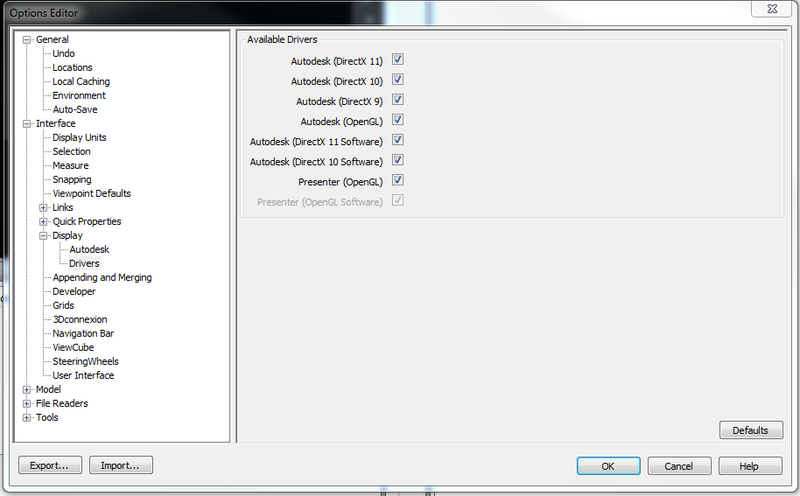 The AutoCAD Map 3d option dialogue box and find the Coordinates system tab. 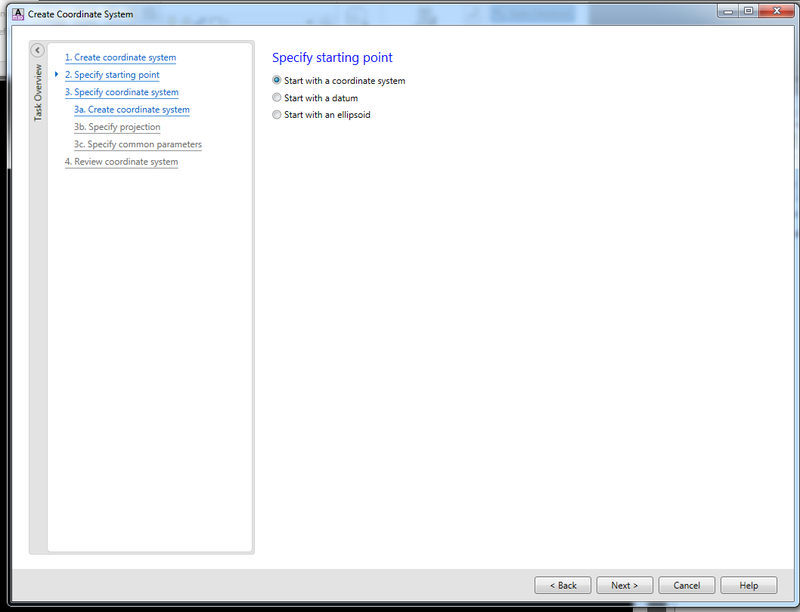 Coordinate System Definitions Stored in Drawings select Prompt User or Automatically add. A brief explanation of my custom nodes. 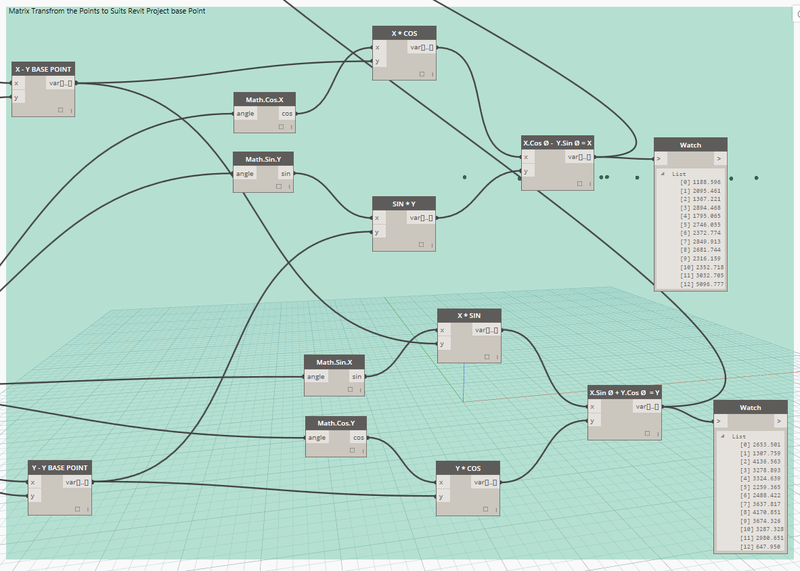 I use this node when getting world coordinates values out of Revit. The node takes the project define base point and true north angle and 2d matrix transform and adds to the elements local coordinate values, resulting in world coordinates. This is not so much as a custom node but more of a time saver. I have reparations uses of this node when inputting or modifying elements with xyz parameter and world coordinates parameters. This node is used to input the project base point. Example of use is when creating topographic surface from a landxml file. The process of trash and burn. Revit does not have an import function for a GIS ESRI Shapefile. 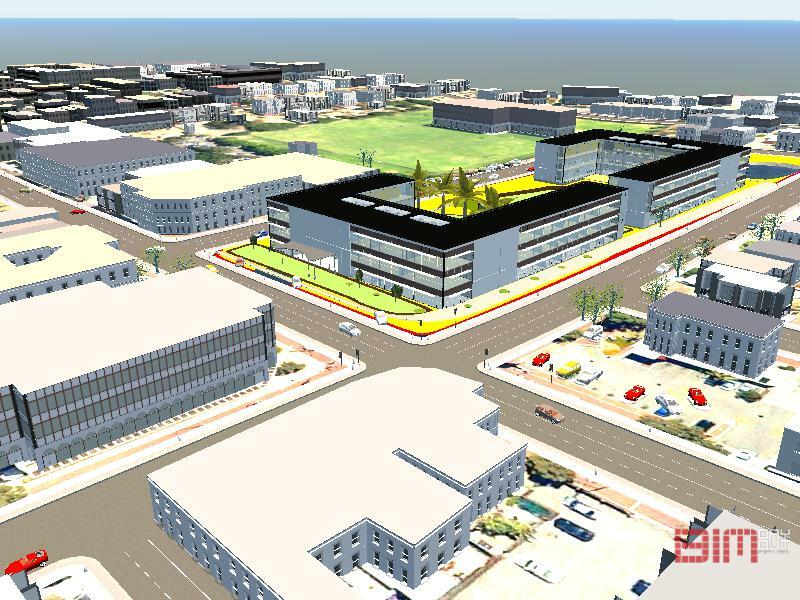 There are multiple workflows of using MAP 3d or Civil 3d and then importing a .dwg into Revit. 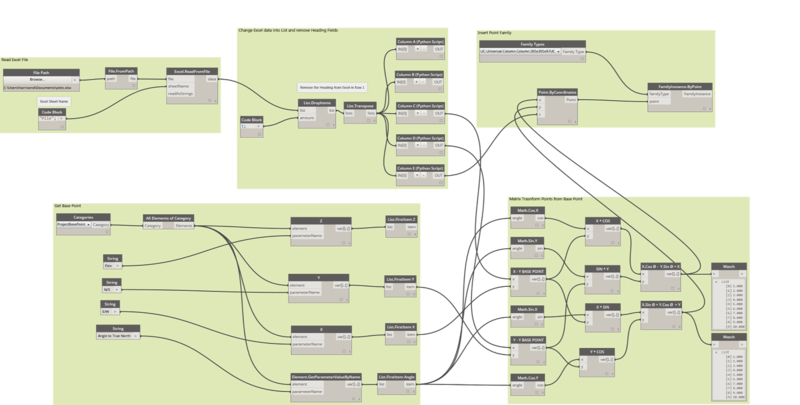 Dynamo and the package of GIS now allow the import function of points, curves and Polygons. 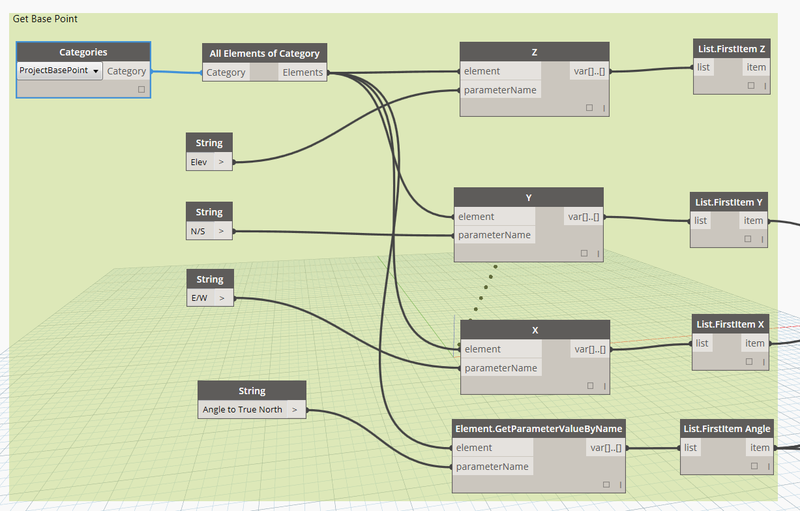 The current Package on Dynamo only imports the geometry within the Shape file and not attributed information, this is currently not available within the GIS package. The image of the Dynamo script below uses GIS package in Dynamo to read the shape file and insert point families into Revit. As noted before only the point and curve geometry is import into Revit, no attributed data. The Points are matrix transposes the point to suit the Revit base point to insert point base family in the correct location. A group of nodes to get the project base Point. The next node group is thanks to Wikipedia! If you can understand Revit shared coordinates well try think of it backwards!!! Revit’s project base point is the mathematical set-out point of the graphical database. The project base point removes large numbers from the database and makes the math simple. I actually don’t know how to write it in words but to put it simple if you had the option of x =235982030, y=230923092, Z=14000 vs x=1, y =1, z = 1 for every point as a reference point which one would you chose? Well, Revit makes it simple by using 1,1,1 and tell base point is the large number which is multiplied by linear algebra. To get the reverse into Revit from Dynamo you need to take the points that you have and Matrix transforms them from the Project base point and rotation to true north. Year 12 linear algebra, comes to mind. Simple math but complex to get at the start. I’ve now been using Revit for 10 years and only in the last month through the use of Dynamo have I been able to use a command line like AutoCAD (on Steroids). 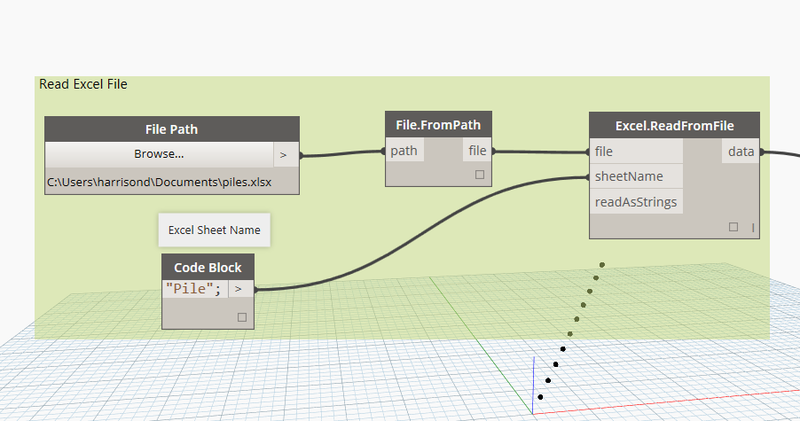 Revit does not have an input command line where you can use specific coordinate, but dynamo gives you the availability to do just that. 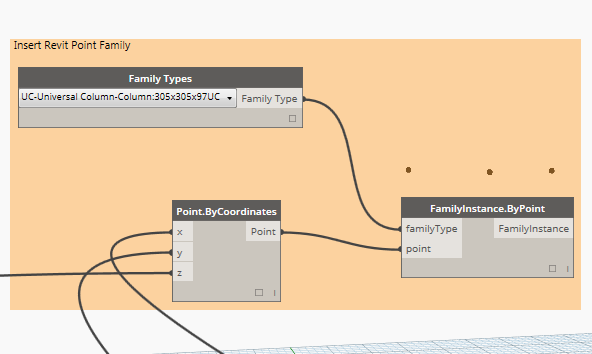 The image of the Dynamo script below uses excel as the input for coordinates, and then matrix transposes the point to suit the Revit base point to insert point base family. The above image is a group of nodes to read the excel file. The first Row within Excel has a heading (fields) which needs to be removed from the list within to allow the clean list. 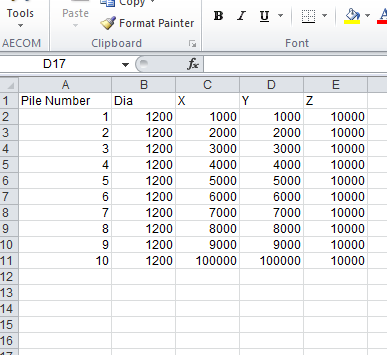 Excel has a series of cells which each data entry occurs. 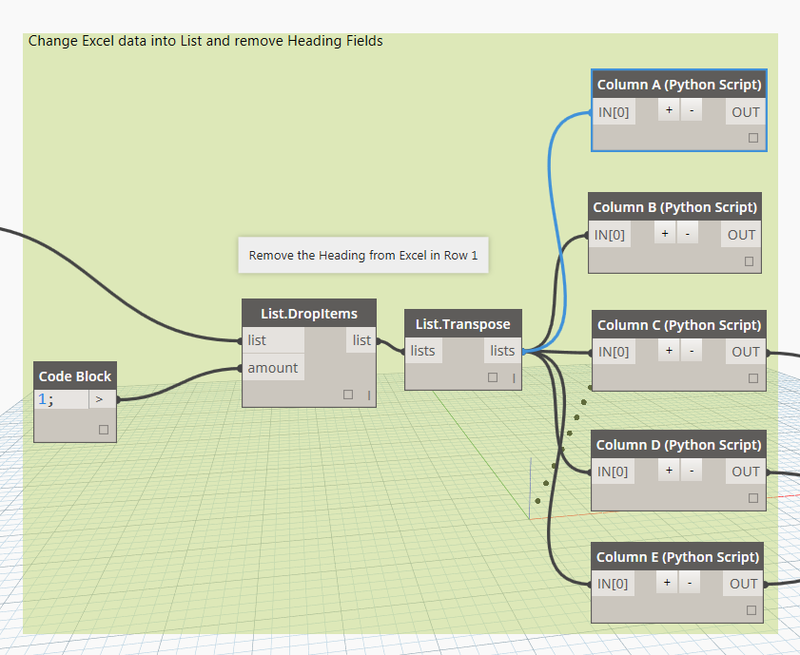 To make the data usable within Dynamo the data is required to be processed. The first set is to transpose the list in excel and then from there each column broken into the individual list. 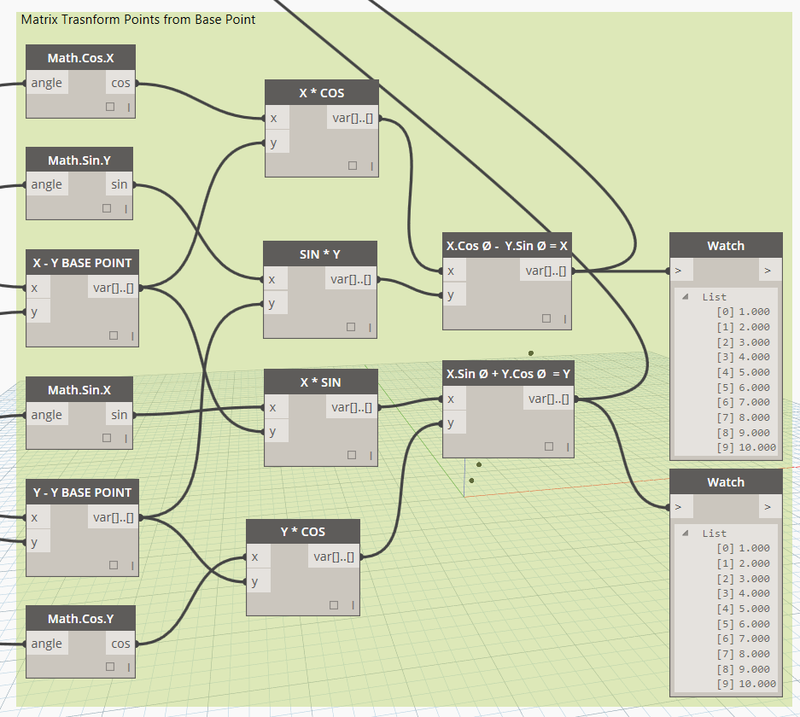 The individual list then can be used to transform the points as well as other function within Dynamo. Using a simple Python script to split each column into individual lists. The next node group is thanks to Wikipedia! If you can understand Revit shared coordinates well, try to think of it backwards!!! Its been a long time since I’ve posted anything new on my blog. I’ve been locked away working on a great project, which I would like to share with you. This Video is just a small clip of the over view of the Project. are registered trademarks or trademarks of Autodesk, Inc., and/or its subsidiaries and/or affiliates in the USA and/or other countries."